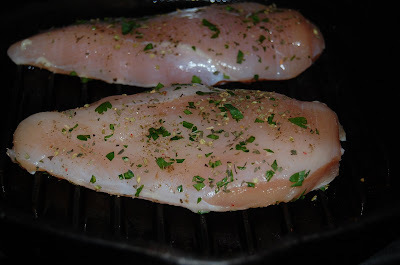 Cooking boneless, skinless chicken breasts can be a hassle. Especially when they turn out dry and stringy, and not worth the money you paid for them. I discovered that brining them first, and then steaming them in foil packets prevents the dryness, and results in delicious, juicy chicken. Tonight I used 4 chicken breasts, trimmed of fat and of relatively equal size. 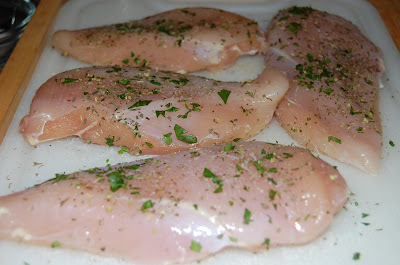 If your chicken breasts are not the same size, you can either pound them and then trim, or trim them until they are. Use the excess trimmings to make a stock, or cook them to put in a salad. After the chicken is nice and uniform, prepare the brine. I use 5 cups water, 3 Tbs. kosher salt, and 2 tsp. of sugar. Mix together, pour in a gallon sized ziplock, and add chicken. Put in the fridge and let osmosis go to work. I brined mine for an hour, but you can certainly go longer. I feel this is sufficient enough for a lb. of chicken breasts, as they come out so tender and moist. Rinse the chicken under cold water to remove the brine and pat dry. then I seared them in my cast iron grill pan drizzled with olive oil (mostly because I like the marks, but also because it help to seal in the juices) for a couple minutes on each side. 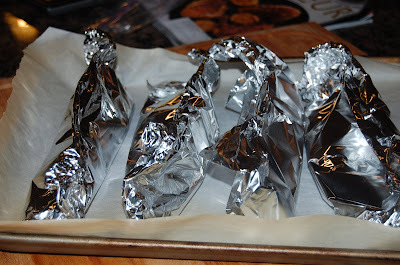 I baked at 450 degrees for 12 minutes, removed the baking sheet and then poked holes in the foil and let them rest another 3-5 minutes. They came out perfect, no dryness here! What a great idea. I loved our brined turkey, can't believe I didn't even consider brining a chicken breast. Ooooo...this is a great idea! Can't wait to try it! These look delicious Ally. I am always looking for new ways to make chicken. I will have to give this a try. Yum, that looks great! I've never used a brine before and it looks like I'm gonna have to try this out! 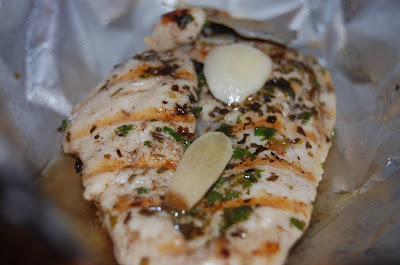 I never would have thought about brining chicken breasts. I will definitely keep this method in mind. The chicken looks so moist and delicious! This sounds delicious. I can't wait to try it - I've starred it in my Google Reader! 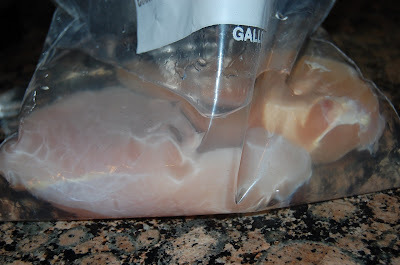 I just learned about brining whole birds, but I've never thought about doing it with breasts. I'm definitely going to try this. 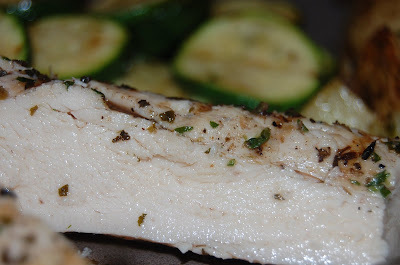 I'm so glad to hear of a way to make boneless, skinless chicken breasts moist! Thanks for posting. 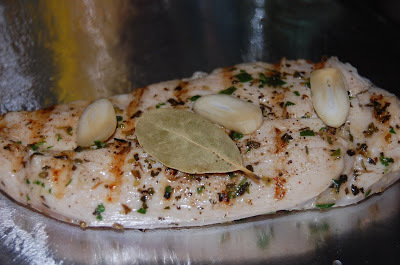 We hear brining for turkey breasts but not so much for chicken so this is a great reminder! Looks delicious! I can't wait to try this!!! Yum! I used to hate chicken breasts but these came out so succulent. I see many greens and chicken bits in my future, and think you just extended my life by at least three years. Thank you!